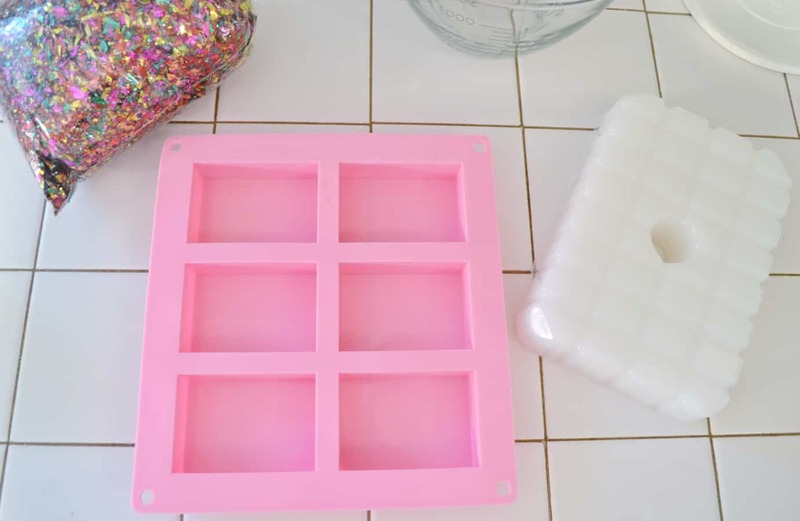 An easy tutorial for making confetti soap! 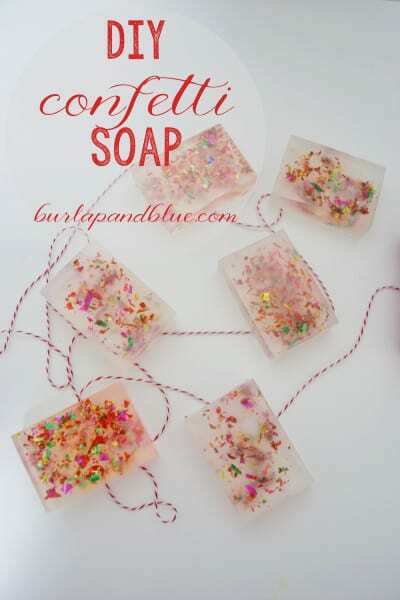 Confetti soap makes a fun favor or gift idea and is super simple to make! Step 1: Prepare your mold by spraying with vegetable spray. This will help the soap come out easily once set. 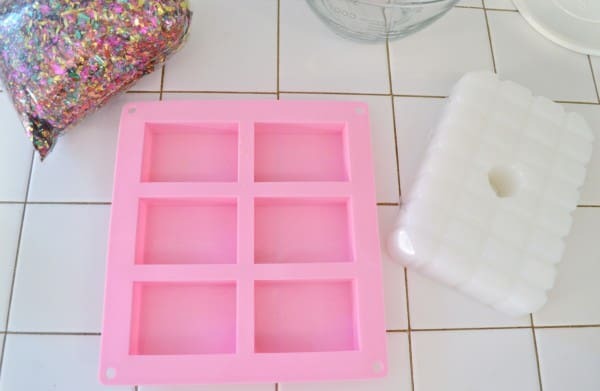 Cut your soap into squares, and place into a glass, microwave-safe bowl. Microwave according to package instructions. Step 2: Once soap is melted (be careful not to overheat, as this can affect the consistency of the soap), add fragrance. 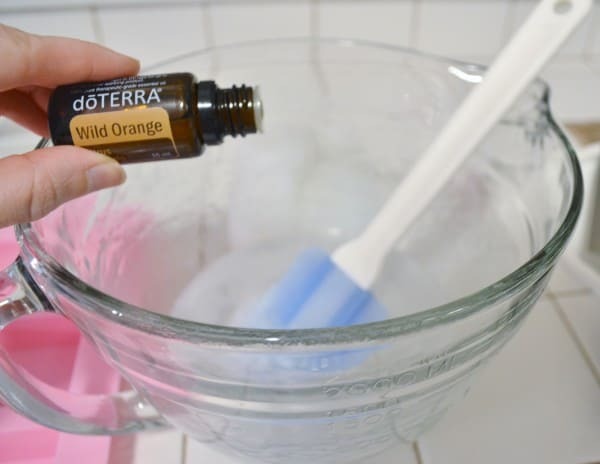 I used doTERRA Wild Orange Essential Oil, and added 6 or so drops to the soap mixture. Mix well, and then pour into molds. Step 3: After pouring soap into molds, add a pinch of confetti to each mold, and stir in using a wooden dowel. You will need to work quickly, as the soap sets faster than you’d think! Step 4: Put in the refrigerator, and let set for 30 minutes, or until hard. Gently pop out soap once set. Having a hard time getting the soap out? Just put the mold in the freezer for a couple of minutes! Step 5: The fun begins! Wrap and decorate your soap with whatever materials you choose. 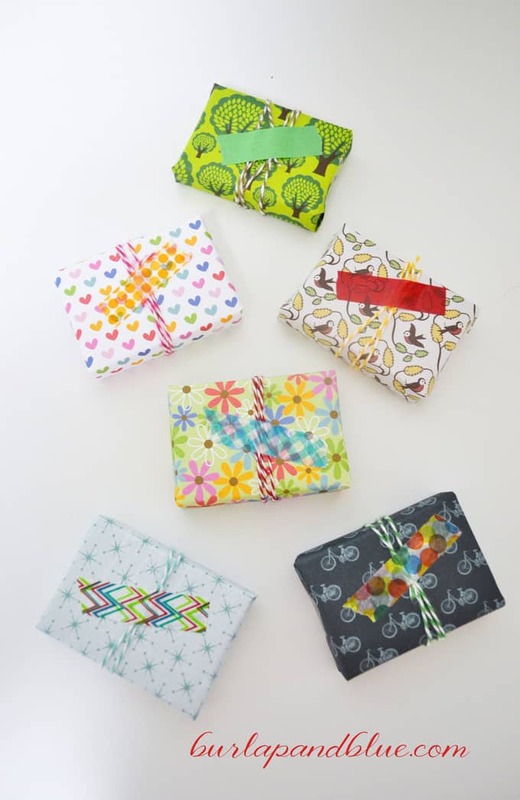 I chose scrapbook paper, twine and washi tape, but there are so many creative ways to make your soap gift-worthy! 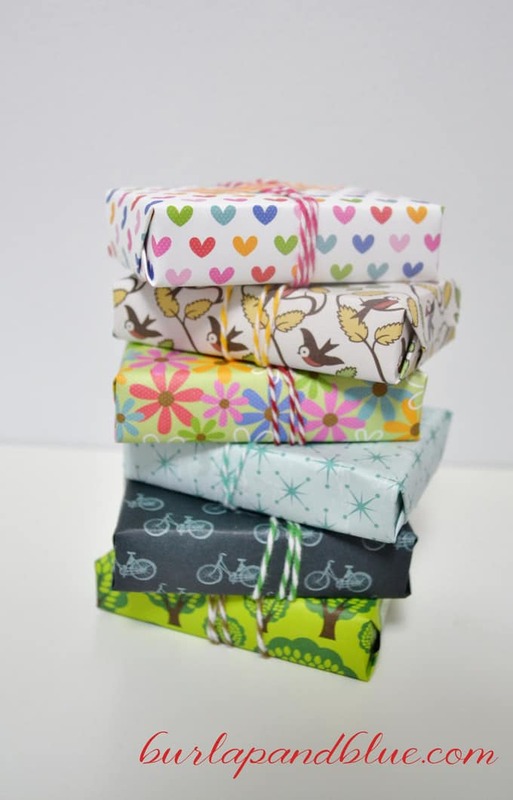 Head here to see my favorite ideas for how to wrap homemade soap! 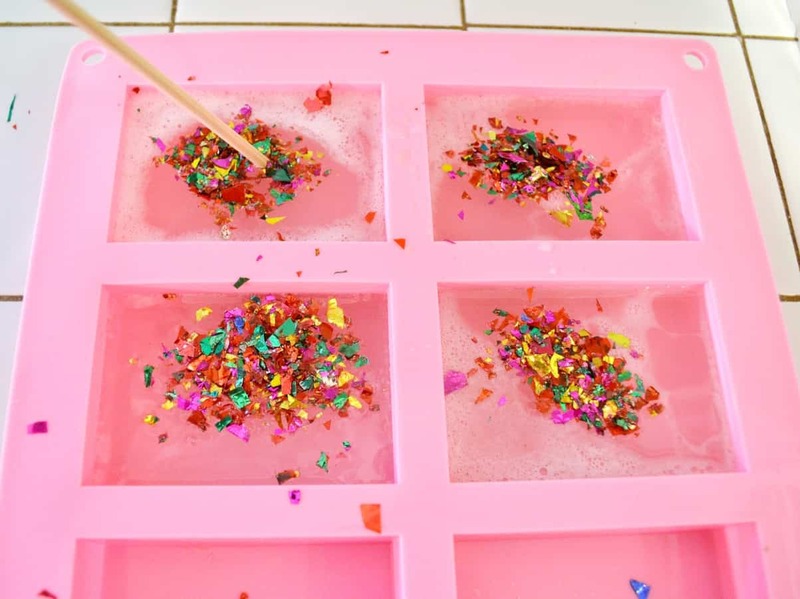 Thanks for reading all about my confetti soap recipe! Have a crafty day! Previous Post: « printables now in shop! Awesome gift idea!! Love it. SO fun! What a clever idea! This is adorable! I think anyone, but especially little girls, would love this as a gift! I love these. What a fun gift idea! This is awful for the environment!! 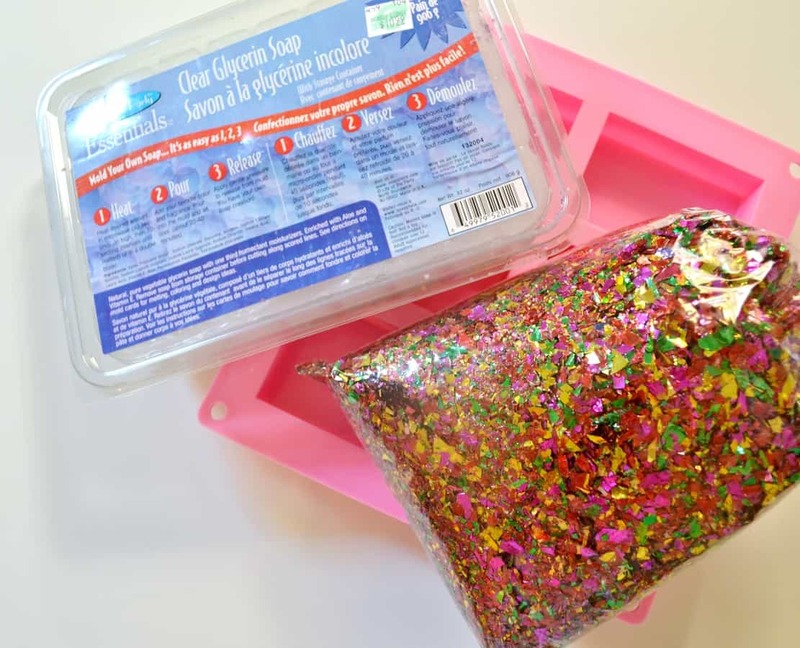 At least change the ingredients to bio-degradable glitter/lustre. Hey there! You can get this kind of confetti from amazon! 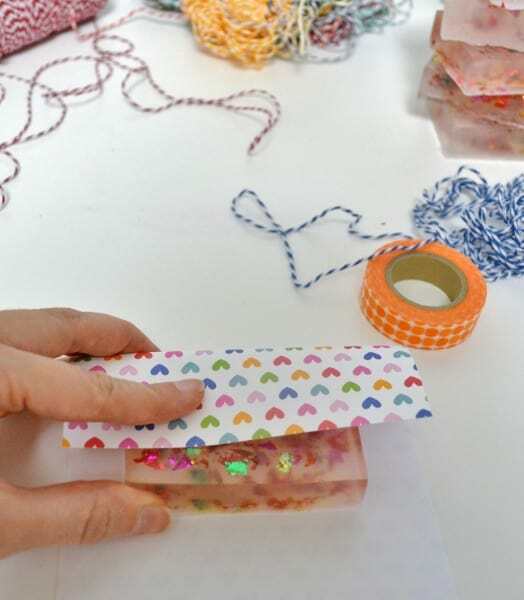 Paper confetti might be a bit more enviromentally friendly!